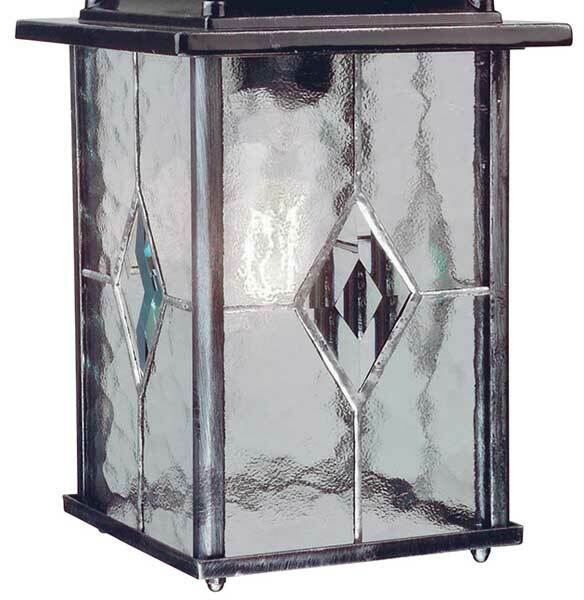 The Elstead Wexford traditional hanging outdoor porch lantern in black & silver finish and rated IP43. 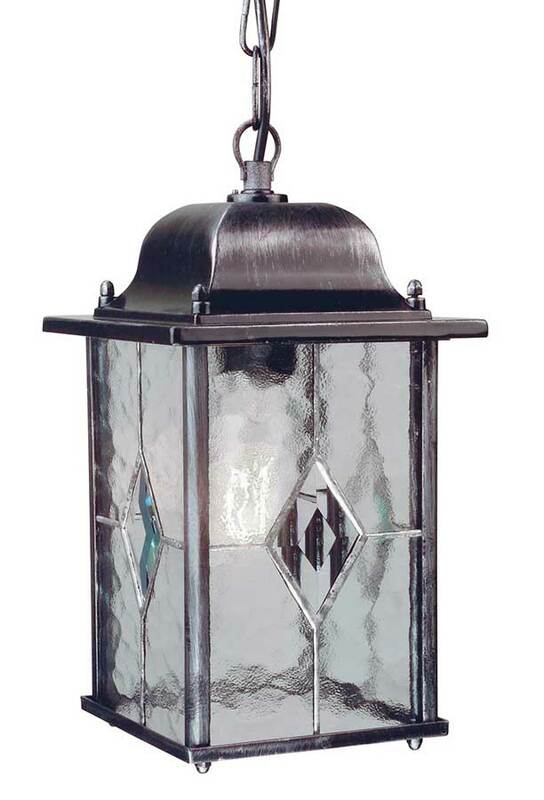 A quality leaded chain lantern constructed from cast aluminium, with a three year finish guarantee. Ceiling mount and chain suspension, with hanging lantern featuring a domed lid and leaded glass lantern panels. Each panel is made using five separate pieces of rippled glass that are then lead soldered together for a timeless look, with a feature chamfered diamond central panel. Height adjustable at the time of installation by removing chain links; please see the technical information below for dimensions. 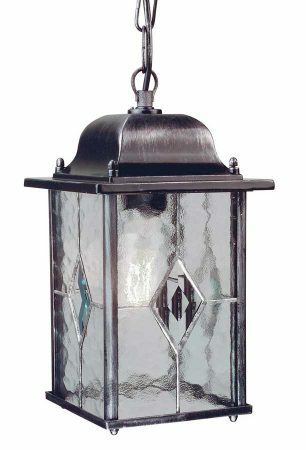 This quality light is supplied by Elstead Lighting, a British company that specialise in the manufacture and distribution of quality decorative lighting such as the Wexford traditional hanging outdoor porch lantern in black & silver finish you see here.